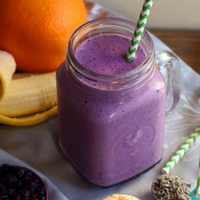 Place the frozen Wild Blueberries, apple juice, chunks of apple, yogurt and oats in the blender and blend until well mixed. It doesn’t need to be completely smooth. 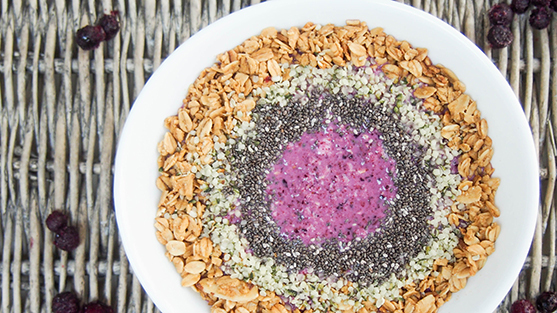 Pour into a bowl and top with the granola, hemp seed hearts and chia seeds – you can arrange them as I did around the outside or however you like!